The U. S. Customs and Border Protection (CBP) will be increasing the merchandise processing fee (MFP) by 2.151 percent, effective October 1, 2018, for the fiscal year 2019. The assessed rate will remain the same, but the minimum and the maximum limits will be adjusted accordingly. The fees will now be reviewed and adjusted annually to account for inflation as allowed by 2015 Fixing America’s Surface Transportation Act (FAST Act). 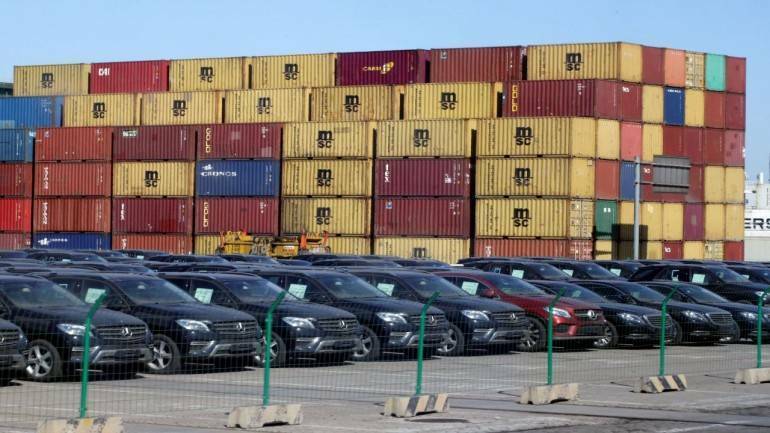 The Office of United States Trade Representative (USTR) has imposed tariffs on 818 imported goods from China under the first round of Section 301, in response to unfair trade practices. Included items have a new 25% import tariff. Click here to see the first list of tariffs in effect currently. Update: The USTR has announced a finalized list of items subject to Section 301 tariffs. Five items were excluded after a two-day public hearing regarding the tariffs last month. The additional duties will begin on August 23, 2018. The Federal Register will be publishing a formal notice of the $16 billion tariff actions. If you have any questions, please contact our International department. Since our early days as Carmelo Savarino & Sons Trucking in 1946, SPEED Global Services has used its unique location in Buffalo, New York, to provide fast and reliable delivery services. We started small and grew to fit the needs of our customers, now offering added 3rd party logistics (3PL) including national trucking, cross border transportation, international freight forwarding, and customs services between the United States and Canada. With GPS capabilities and extensive online tracking tools, we offer the latest technology to our clients while maintaining personal and customized shipping experience. For questions about our national trucking, international freight forwarding or any of our supply chain services, contact SPEED Global Services today!